Once diabetes is excluded, thyroid gland diseases form the main bulk of endocrine problems that the practicing physician encounters in their clinical practice. As patients with thyroid gland dysfunction may present with varied symptoms of different severity levels, physicians often have to identify such patients, so that appropriate treatment for thyroid disorders can be instituted at the earliest to prevent potential future complications. The current review will cover the evaluation and interpretation of thyroid function tests in the diagnosis of thyroid disorders. Hepatitis A is the most common cause of acute viral hepatitis worldwide although a preventive vaccine is available. Infection generally confers life-long immunity. It causes severe, often fatal, disease in adults, especially in those with underlying liver dysfunction, but is mostly asymptomatic in children. Endemicity is determined by anti-hepatitis A seroprevalence in different regions of the world. Hence, industrialized nations fall under hypoendemic category, but tropical, Asian, or African countries are hyperendemic. Hyperendemic countries have an adult population who develop immunity to hepatitis A as they are usually infected in childhood due to poor sanitation, in contrast to developed nations where adults remain susceptible. Vaccination strategies differ across the world depending on the endemicity. Usually, universal vaccination is still not advocated in endemic developing countries, unlike in USA or Europe. However, data are emerging from developing nations such as India where more adults are probably becoming susceptible to hepatitis A due to improving economy, better sanitation, and personal hygiene. Hence, the global seroepidemiology of hepatitis A is changing in many developing nations giving rise to unique nonimmune adolescent and adult populations emerging in endemic regions, thereby conferring a risk of developing severe hepatitis A. Abstracts, articles, and cross references were examined in search engines including PubMed and chapters from standard textbooks and monographs. This narrative review of some relevant recent information on this shifting seroepidemiology in endemic areas discusses changes in national and regional vaccination strategies with public health implications. World is facing rapid transition in health sector for under nutrition and over nutrition. Obesity is a challenging epidemic and increased Body Mass Index (BMI) influences on almost all body systems leading to development of non-communicable diseases. Chronic but slow growing non-infectious pathology of body organization give upsurge onset of non-communicable disorders. Obesity related Non-communicable diseases (NCDs) leads to millions of deaths all around the world, rapidly becoming economic burden worldwide. Pathophysiology and extend of obesity is responsible for ill effects of health. In obesity Low grade Inflammation and antioxidant disproportion plays vital role in development of NCDs. Effective health education, professional counselling from public health authorities, free health care, and social insurance can be effective in controlling growing non communicable disease globally. 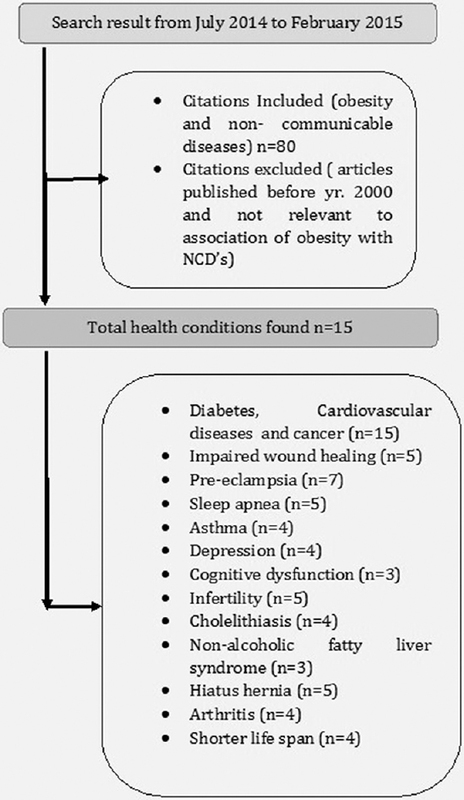 The present analysis attempts to study association of obesity with different NCDs in terms of prevalence and underlying mechanisms. Context: Early definitive diagnosis of dengue virus (DENV) infections is essential for the timely management of dengue infections. Aims: The aim of the present study is to compare results of both tests (IgM enzyme-linked immunosorbent assay [ELISA] and nonstructural protein 1 [NS1]) and to prove that use of NS1 with IgM ELISA tests improves the dengue laboratory diagnosis. 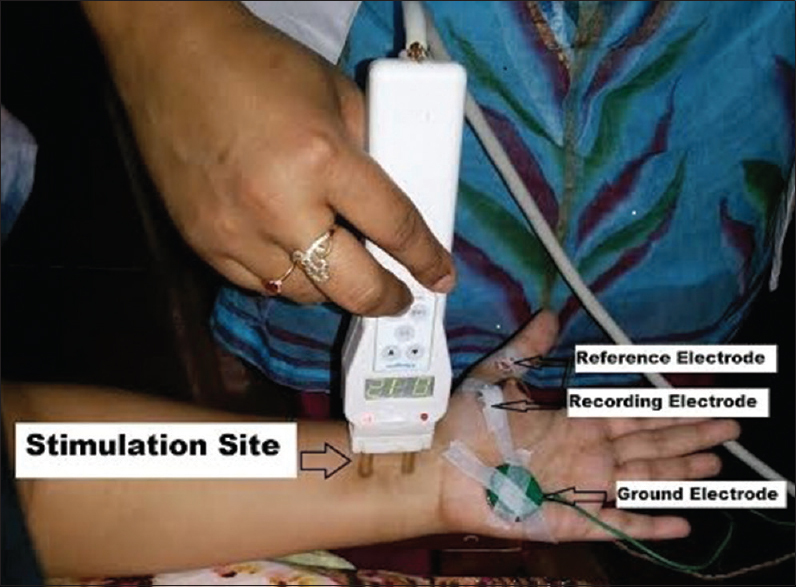 Settings and Design: Tertiary Care Hospital, Gujarat and retrospective cross-sectional study. 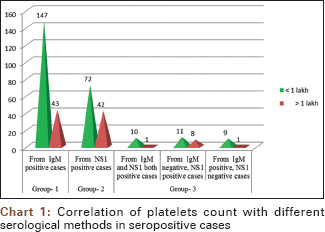 Subjects and Methods: One thousand three hundred forty-three blood samples were screened from clinically suspected cases of dengue fever reporting at Tertiary Care Hospital, Gujarat from August to November 2014. The samples were divided into three study groups according to the tests performed. In Group 1, 840 samples were subjected for dengue IgM ELISA only. Group 2 comprised 379 samples tested for NS1 antigen (Ag) only. Group 3 comprised 124 samples tested by both methods NS1 Ag detection test and IgM ELISA. Statistical Analysis Used: As the study has compared three different groups, Statistical proportion method used and data entry was done in Microsoft office excel version 2010. Results: In Group 1, 145 patients (76.3%) found positive between 6 and 10 days of fever. More number of cases (89.4%) gave positive reaction in NS1 Ag detection test at <5 days of fever in Group 2. In Group 3, of the forty positive samples, 19 (47%) samples gave positive reaction in NS1 Ag detection test and negative in IgM ELISA with <5 days of fever history. Ten patients (25%) showed positive IgM ELISA and negative for NS1 at more than 10 days of fever. Eleven patients (27.5%) showed both the tests positive between 6 and 10 days of fever. Conclusions: If NS1 Ag detection test used in combination with IgM ELISA on a single serum sample of suspected patients will increase the sensitivity of detection, especially in areas with higher prevalence of secondary DENV infections. Background: The Integrated Child Development Service (ICDS) program aims at enhancing survival and development of children from the vulnerable sections of the society. Aim: The present study was conducted to assess various nutritional activities at anganwadi centers (AWCs) in different districts of Gujarat state. Settings and Design: AWCs, cross-sectional study. Materials and Methods: A total of 130 AWCs were selected including 95 from rural and 35 from urban area from April 2012 to March 2015 including 12 districts of Gujarat and union territory, Diu. Five AWCs were selected from one district randomly. Detailed information about various nutritional activities including growth monitoring, preschool education (PSE) and nutrition and health education (NHED), coverage for supplementary nutrition (SN), type of food provided under SN, and its issues at AWCs was collected. Statistical Analysis: Percentages, proportions, Chi-square/Fischer's exact test. Results: Growth chart was available in 96.9% AWCs. The malnutrition was reported among 14.9% children. PSE received by all children was only in 14.6% AWCs. NHED meeting was conducted in 73.8% AWCs. High coverage of receiving SN among enrolled was reported in pregnant and lactating mothers (84.6%) and adolescents (79.2%). SN was fully acceptable in 91.5% AWCs. Interruption in SN supply during last 6 months was reported in 55.4% AWCs. Conclusion: Regular workshops should be conducted for ICDS staff to sensitize them about the importance of and practices on PSE. Interruption in supply of SN should be corrected by regular and adequate provision of SN foods to the beneficiaries. Introduction: Guggulu (Commiphora wightii, [Arn] Bhandari) is a common herbal source in many Ayurvedic preparations. Navaka Guggulu (NG) is one among them. It is useful in Medoroga (hyperlipidaemia), Sthaulya (obesity), and Kaphaja roga (diseases due to Kapha). Though it is an important formulation, reports on physicochemical profile of NG are a few. Hence, an attempt has been made to evaluate pharmacognostical and preliminary physicochemical parameters of NG through relevant parameters. Materials and Methods: NG was evaluated on the basis of powder microscopy and analytical parameters such as pH, acid value, acid insoluble ash, water soluble extract, methanol extract, volatile content, and high-performance thin layer chromatography. 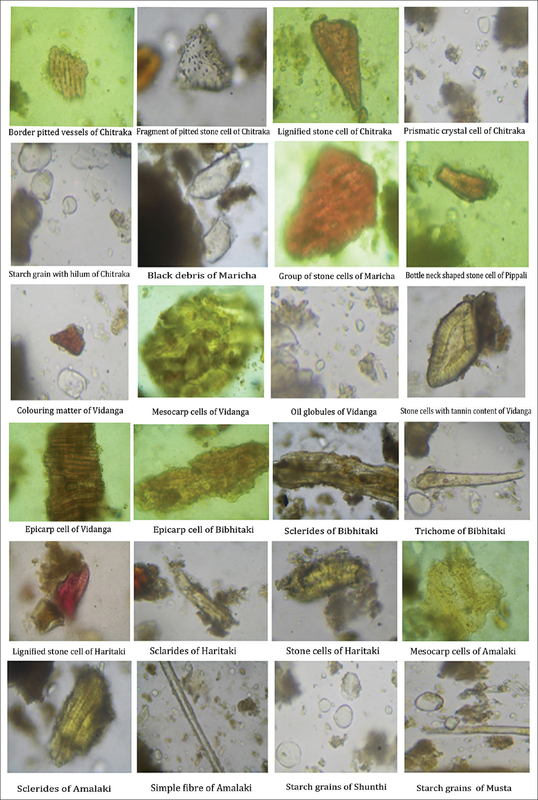 Results: NG exhibits a set of diagnostic characters of its ingredients such as bottleneck-shaped stone cell of Pippali, trichome of Bibhitaki, and mesocarp cell of Vidanga, which will help to identify finished product. Introduction: Carpal tunnel syndrome (CTS) is the most common nerve entrapment syndrome in the upper extremity leading to the functional disability. The consequence of the entrapment is the poor health of the nerve (conduction, mobility, and blood flow). Purpose of the Study: The aim of the study is to evaluate the effect of neural mobilization on the motor nerve conduction velocity and function in the CTS patients. Methods: Thirty CTS patients (only females) were scrutinized on the basis of the inclusion and exclusion criteria. They were randomized into two groups A (n = 15) and B (n = 15) using simple random sampling. Group A patients were treated with the conventional physiotherapy regimen and Group B were provided neural mobilization. Results: The data analysis was done using SPSS version 22. The t-test reveals that there was statistically significant improvement in posttreatment values of Group B for numeric pain rating scale, symptom severity scale, function status scale, motor nerve conduction latency, and velocity at P≤ 0.05. Conclusions: Neural mobilization in the CTS patients improves the motor nerve conduction and functional status. It may be incorporated in the physiotherapy treatment protocol of CTS patients. Introduction: Clindamycin is commonly used to treat skin and soft tissue infections caused by Staphylococcus aureus particularly in methicillin-resistant S. aureus (MRSA) infections. Inducible clindamycin resistance (inducible macrolide–lincosamide–streptogramin B resistance [MLSB]) is a critical factor in antimicrobial susceptibility testing. This study was aimed to detect MLSB phenotypes and inducible clindamycin resistant phenotypes among S. aureus. Materials and Methods: A total of 649 S. aureus isolates from different clinical samples were evaluated, and methicillin-resistance was determined using the cefoxitin (30 μg) disc. Inducible resistance to clindamycin was detected by D-zone test as per Clinical and Laboratory Standards Institute guidelines. Results: Of the 649 isolates, 404 (62.2%) were methicillin-sensitive S. aureus (MSSA) and 245 (37.8%) were MRSA. Ninety-six (14.8%) isolates showed inducible clindamycin resistance, 175 (27%) showed constitutive resistance, and 55 (8.5%) isolates showed MS phenotype. Inducible and constitutive resistance phenotypes were found to be higher in MRSA (25% and 64.8%) as compared to MSSA (8.7% and 4.7%), respectively. Conclusions: Considering the higher prevalence of clindamycin resistance in MRSA isolates as compared MSSA isolates, routine D-test of MRSA isolates is strongly recommended to prevent treatment failure. Therefore, inducible clindamycin detection should be the part of S. aureus sensitivity testing in all the microbiology laboratories. 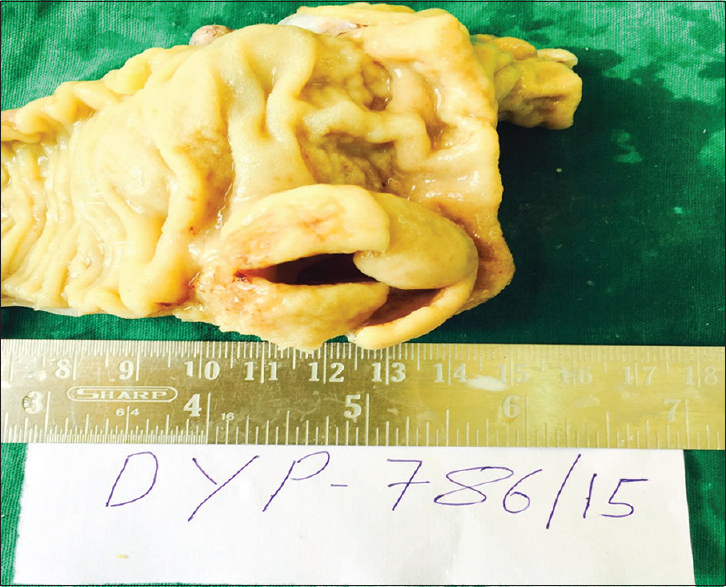 Duplication cysts of the alimentary tract are very rare congenital anomalies. Out of all these cases, two-thirds of them manifest before the age of 2 years. They are common in ileum, but very rare in cecum. Some of them may remain asymptomatic and present in the adulthood. The lesion may be tubular or cystic. Several theories have been postulated, but true etiology is not known. We hereby report a case of a 10-year-old female who presented with abdominal pain in the pediatric surgery outpatient department. Diagnosis of cecal duplication cyst was confirmed on histopathology. This report implies that although alimentary tract duplications are rare, they should be considered in the differential diagnosis of children who presents with acute abdominal pain. Tuberous sclerosis complex (TSC) represents a genetic disorder of hamartoma formation in many organs; particularly the skin, brain, eye, kidney, and heart. We are reporting a case of TSC in a patient and his daughter. 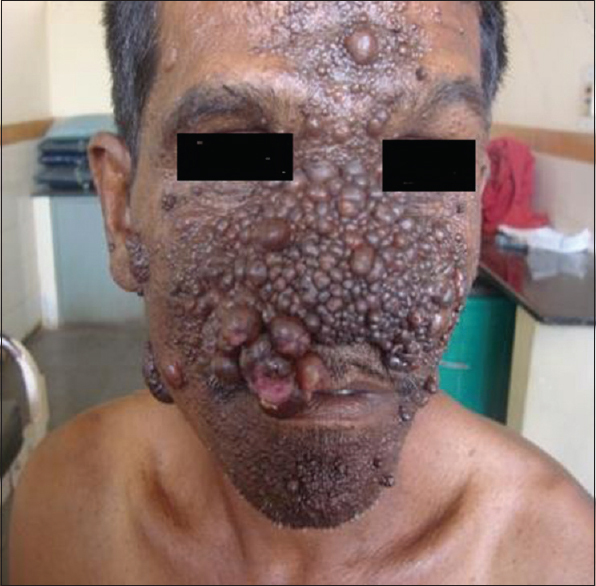 The interesting feature is the appearance of the facial angiofibromas in this patient. In this patient, there was a sudden spurt in growth of these lesions in the last 7 months at the age of 50 years giving an appearance of nodular growth, misleading the diagnosis. The lesion was biopsied to know any secondary changes had occurred. There is no mention in the literature regarding such a rapid growth or any secondary changes occurring in angiofibromas. Neither the biopsy revealed any secondary changes. Hence, this interesting phenomenon has been reported. Is it apt to call it as “ANGIOFIBROMA PROLIFERANZA” or “ANGIOFIBROMA VIPULA”? (The word VIPULA in local South Indian Kannada language is prolific growth). Laparoscopic procedures are routinely performed in most surgical centers today. Surgical site infections at port sites following laparoscopy are not uncommon. However, port site tuberculosis (TB) is a rare complication following a laparoscopic procedure. The possible causes of its development include improper sterilization of instruments, use of tap water containing resistant atypical mycobacteria to clean these instruments before immersion into glutaraldehyde solution; and seeding at the port site due to gall bladder TB. We report here a case of a young female who underwent laparoscopic cholecystectomy outside our hospital and then developed a discharging sinus at the epigastric port site. Three attempts of debridement and wound closure had already been done before and every time there was a recurrence. Sinus tract was excised after getting the sinogram, and the histopathology showed features consistent with TB. The patient was put on anti-tubercular therapy, and she had no recurrence after 3 months of follow-up. Pericardial effusion (PE) is detectable during routine obstetric ultrasonography. PE is the result of the same mechanism that produces fetal hydrops. Structural cardiac malformations and fetal cardiac arrhythmias are the most common cause of nonimmune hydrops. A male infant weighing 2300 g was born by through elective cesarean section. Isolated large PE was detected in a fetus at 34 weeks of gestation. The women delivered a male neonate at 37 weeks period of gestation through elective cesarean section. Baby cried immediately after birth with APGAR score 7, 9, 10 at 1, 5, and 10 min, respectively. Though the mother condition was stable. The baby was shifted to special care neonatal unit in view of for respiratory distress and severe grunt. Neonatal echocardiography showed trivial tricuspid regurgitation with no PE. Most fetal PEs resolve and fetuses with isolated PEs have a good prognosis. 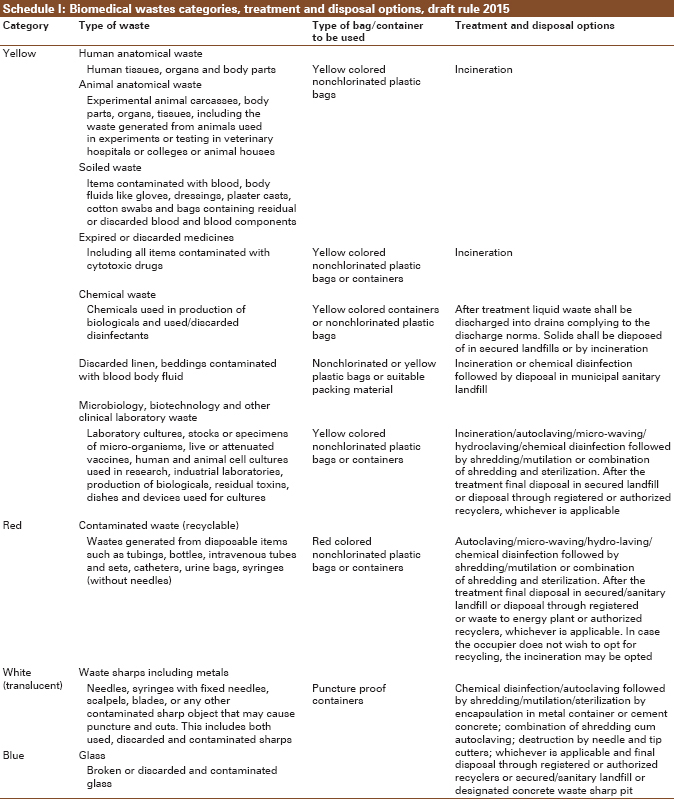 Waste management is increasingly being given focus and attention throughout the globe in view of its diverse and adverse consequence to human and environmental health. Recently government has released draft biomedical waste and solid waste management rules, 2015 and invited comments from stakeholders. This brief provides update on bio medical waste, solid waste management especially community disposal of sanitary waste and highlights some of the concerns.